Rio 2016 is Declan's first Paralympic Games. Bronze medal winner at the 2016 UCI Para-Cycling World Cup in South Africa. 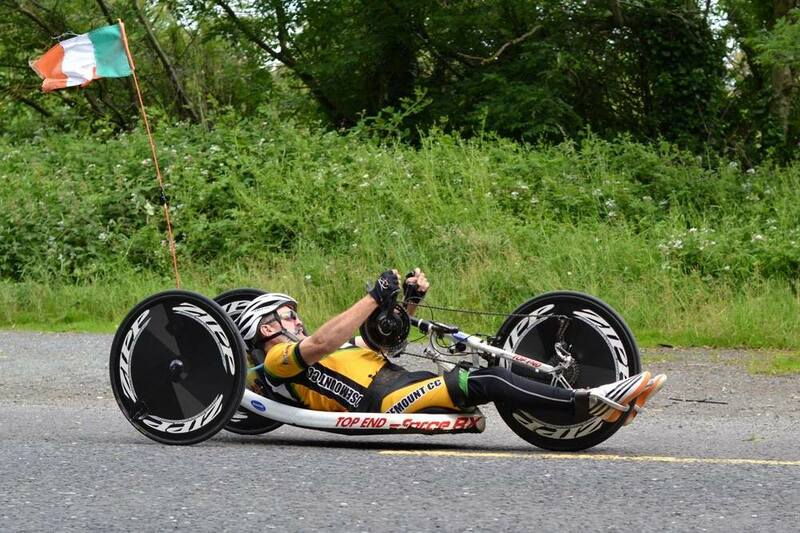 A member of Rosemount Cycling Club in Co. Westmeath, Declan has also been performing well for the Irish para-cycling team over the last number of months. Inspired by Austrian handcyclist, Walter Ablinger, Declan is a farmer and builder in his native midlands, and got involved in hand cycling after his accident in 2004. Four years ago, he attended his first para-cycling Invacare League and as they say, the rest is history. Proving the rule that hard work really pays off, Slevin pushed himself to glory in May 2016 when he secured a bronze medal in the UCI Para-Cycling World Cup in South Africa, setting a new national record for the 16km Time Trial of 26 minutes 58 seconds. He cannot wait to travel to Rio and compete for his country on the grandest of sporting stages.